Guildford is a modern, in-your-face kind of cathedral, so I made it big and bold! 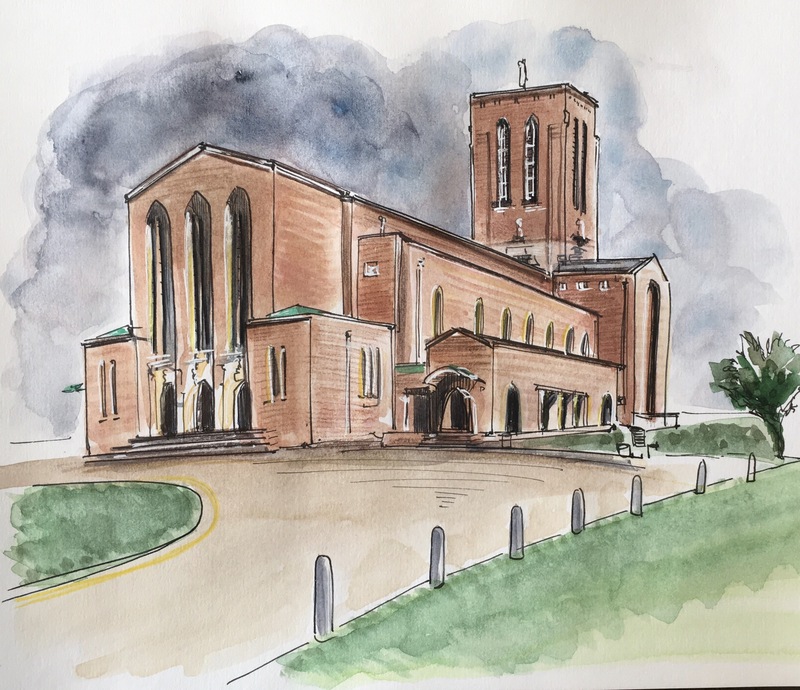 After only sixty odd years, Guildford cathedral nave roof is leaking and they have discovered asbestos in the structure so your lovely picture covers up a multitude of architectural faults. The beautiful marble floor has had to be covered over and the pipe organ is out of action. Otherwise an elegant light-filled brick basilica.